Good morning! Guess what, we had snow on the ground this morning! Brrrrrrrrrrrrrr. I'm so done with the cold weather. Bring on spring, pretty please!! But wintery weather is good for one thing: staying warm inside and getting lots of craft and sewing projects done. 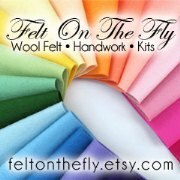 One of my latest gift projects finally reached its recipients and I can now share photos! 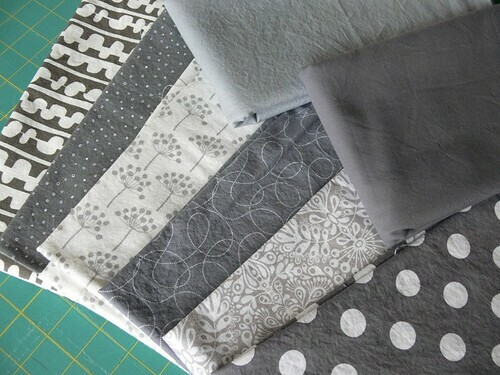 Do you remember when I showed you a sneak peek of a grey and linen project, and asked for input on what to do with the leftovers? 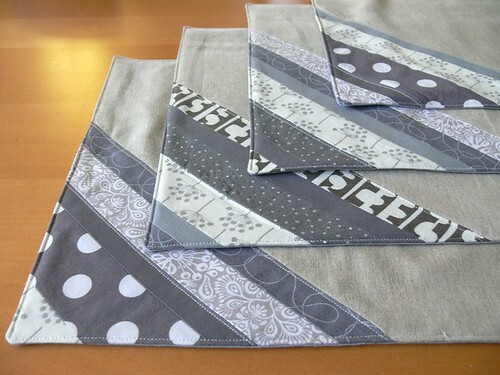 Well here's the actual project: grey and linen stripy patchworky placemats! Some time last year (I don't remember when or how, there are apparently holes in my brain) I befriended Rachael, the crafty maven behind the blog and shop Imagine Gnats. Through email and Facebook, we've gotten to know each other quite a bit and she's just a lovely person, not to mention super inspiring with incredible productivity and creativity (check out her awesome mod quilt and her first embroidery patterns, for example). I found out (by asking her -- I'm SO sneaky) that one of Rachael's favorite colors is grey. Pretty early on, I had decided I wanted to make something that would 1. be practical and usable and 2. celebrate the fact that their family of 4 was coming together "officially". 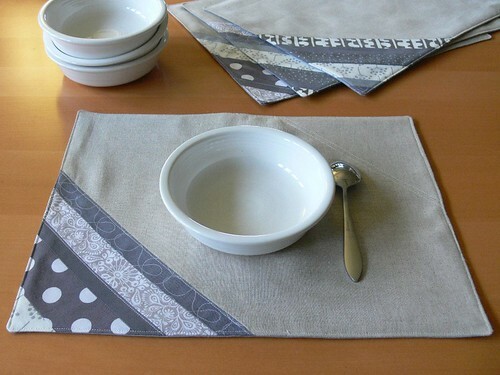 Placemats, it was! One for each of them. 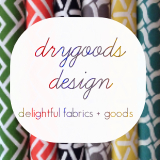 Each unique, but featuring a similar design and assortment of fabrics. 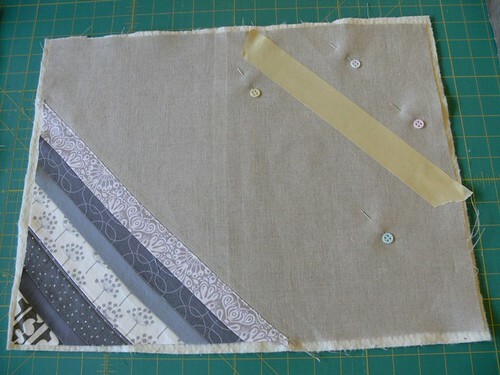 - Turned the whole thing inside out and top-stitched around the edges! I really like how they turned out but was quite frustrated with some wobbly, wrinkly issues. 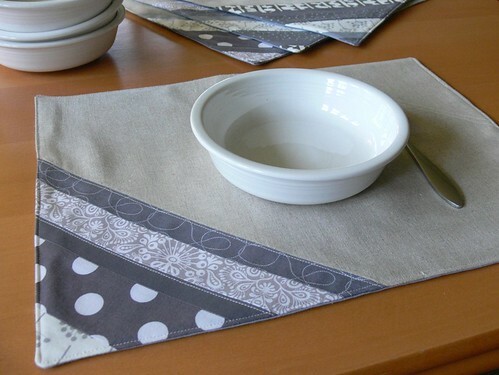 You can see that one placemat in particular (top left in one of the above photos) is just not cooperating. I am crossing my fingers that when these have been washed and dried, the fabrics will lay together a bit more harmoniously. Here's hoping Rachael and Nick like these and get to use them!! As always, it is such fun making a gift by hand and thinking of the recipients while doing so. I think it infuses the gift with good energy! And there's my cheerful thought for the day. I hope you have a lovely one! 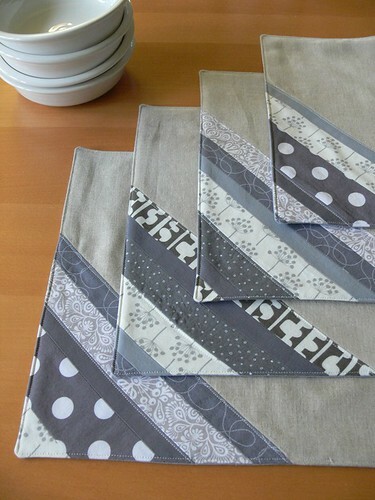 What do you think of my placemats? 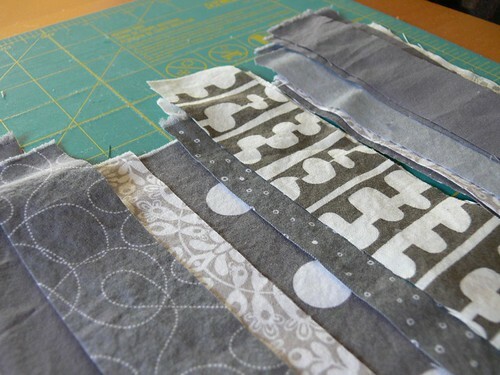 What tricks do you have to avoid wobbliness when quilting small projects like these? What kind of gift do you like to make for weddings? I'd love to hear from you in the comments! we love them SO very much :) you are the sweetest! 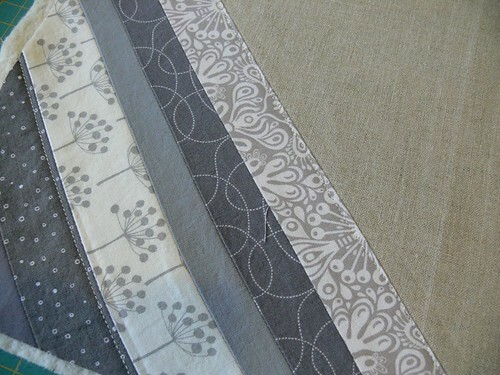 and i always have trouble with linen being wonky... do you think it stretches in ways that other fabrics don't? I am glad you like them!! Jenny, you are so thoughtful! 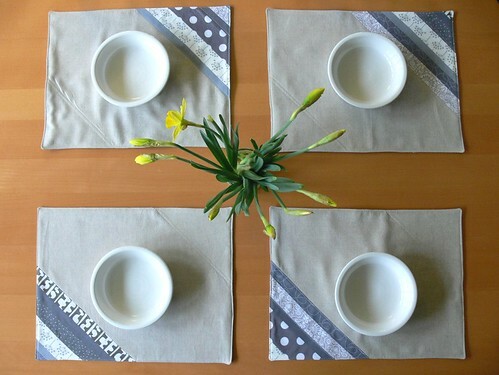 The placemats turned out beautifully. 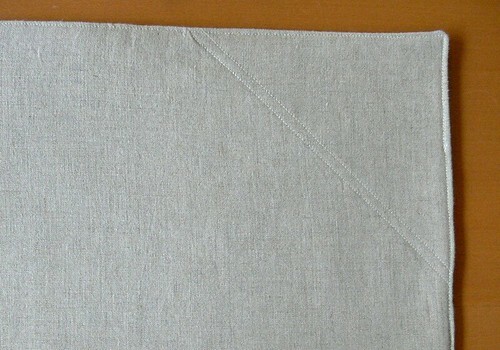 I have found that linen definitely stretches in different ways than other fabrics, and I'm going to try starching next time! 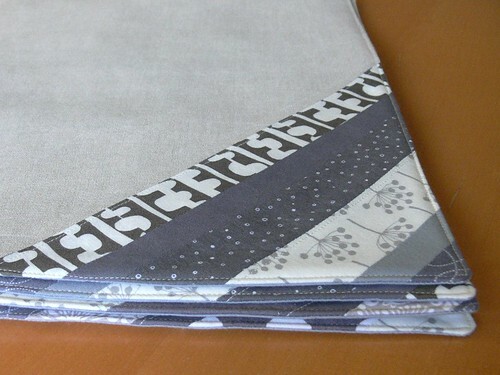 Beautiful, I love them and absolutely adore the gray linen with the various shades. Beautiful gift! 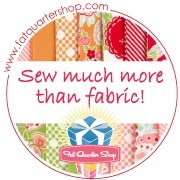 When you sew them together use half inch seams not quarter inch.